We believe that privacy is an important individual right, and we will endeavour to abide by the Australian Privacy Principles (“APPs”), as set out in the Privacy Act 1988, to that end. the term “sensitive information” means (without limitation) information about an individual’s race, political opinions, religious beliefs, philosophical beliefs, membership of a trade union, sexual preference, criminal record, or health, genetic or biometric information, including “sensitive information” as defined in the Privacy Act 1988. Depending on the purpose for which we collect information from you, the personal information we collect or hold may include your name, date of birth, current and previous addresses, telephone or mobile phone number, email address, gender, occupation and driver’s licence number, identification details (e.g. student number), photos of you, and any other personal information you or a person ostensibly authorised by you submits to us, as well any other information that we consider is necessary (such as information about your opinions) to perform our functions and activities. The nature of personal information collected from you will depend on the purpose for which it is being collected. any other use to which you have given your consent (whether express or implied). or to the extent disclosure is required or authorise by law, including without limitation the APPs under the Privacy Act 1988 (Cth). Where reasonably possible, we will collect your personal information directly from you. We will not use Government Identifiers, such as a driver’s licence or Medicare number, as our own identifier for you. Our contractors and outsourced service providers may disclose your personal information overseas in connection with providing their services to us. If we disclose personal information to a third party, we will take all reasonable steps to ensure that the third parties do not breach the Australian Privacy Principles in relation to that information. In the case of email communications that amount to commercial electronic messages, you may also use the “unsubscribe” facility contained in our emails. Once you have unsubscribed from our mailing list, we will refrain from contacting you for that purpose. it is permitted by law. We will take reasonable steps so that personal information can only be accessed by people properly authorised to have access. We have security access to our premises and control and protection measures regarding our electronic databases, such as usernames and passwords. This is to ensure that the information is disclosed only to the intended person. We will take reasonable steps to ensure that your personal information is stored securely and is protected from misuse and loss and from unauthorised access, modification or disclosure. Please be aware that no security measures are perfect or impenetrable. We cannot control the actions of other users with whom you share your information. We cannot guarantee that only authorised persons will access or view your personal information. We cannot ensure that information you share on the Websites or provide to us will not become publicly available. We are not responsible for third party circumvention of security measures on the Websites or at any of our premises. In relation to any personal information accessible through the Websites, you can reduce these risks by using common sense security practices such as choosing a strong password, using different passwords for different services, and using up to date antivirus software. We will always try to maintain accurate, complete and up-to-date information about you, so far as it is practicable for us to do so, and will take reasonable steps to update any personal information that we learn is inaccurate, incomplete or no longer up-to-date. If we determine, having regard to the APPs, that it is either not lawful or not required by law to provide you access to the personal information we hold, we will provide you with a written response within a reasonable period of time, setting out our reasons. If we are otherwise obliged or permitted to give you access to that personal information, we will do so within a reasonable time. We reserve the right to charge you an inexcessive fee for giving access. If personal information we hold about you is incorrect, we will, on your request to correct it or where we are satisfied that the information is inaccurate, out of date, incomplete, irrelevant or misleading, take such steps as are reasonable in the circumstances to ensure that the information is corrected. However, if you request us to correct personal information that we hold about you and we refuse to do so, we will, to the extent reasonable, provide you a written response as to our reasons. Where we become aware that we hold personal information that is no longer needed for any purpose for which the information may be used or disclosed, we will reasonable steps to destroy or permanently de-identify it. When you provide your personal details to us, you consent to us using your personal information for direct marketing purposes (for an indefinite period). From time to time, we may contact you with information about products and services offered by us and our related entities and our business partners, which we think may be of interest to you. When we contact you it may be by mail, telephone, email or SMS. comply with a request by you to ‘opt-out’ of receiving further communications within a reasonable timeframe. We will only ever contact you if you have consented to direct marketing, and you can ask to be removed from our marketing lists at anytime by directly contacting us. Members, clients and students are required to register as users of the Websites, by entering a username and password in order to visit secure areas on the Websites. This is to ensure that the information is displayed only to the intended person. You should ensure that your password is kept securely and cannot be discovered by anyone else. 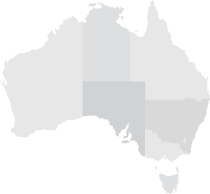 If you access the Websites from outside Australia, you accept responsibility for ensuring or confirming compliance with all laws in that jurisdiction that apply to you as a result of that access or any consequent transactions or dealings with us, the operating system used, the Websites or other users. When you access the Websites from a computer, mobile phone, or other device, we may make a record of your visit and logs for statistical and business purposes and we may collect information including: the user’s server address, the user’s domain name, IP address, the date and time of visit, the pages accessed and documents downloaded, the previous site visited, and the type of browser used. We may also track some of the actions you take on the Websites such as when you provide information or content to us. The Websites have been designed to make it easy for you to find and connect with our other Members, clients, students and registered users and provides you with the opportunity to interact in the discussion forums. Even after you remove information from your profile or delete your account with us, copies of that information may remain viewable elsewhere to the extent it has been shared with others or it was copied or stored by other users. Certain types of communications that you send to other users cannot be removed from their systems. If you use an external source to publish information on the Websites (such as a mobile application or a Connect site), you should check the privacy setting for that post, as it is set by that external source. You may be able to change or remove information about your profile that is accessible through the Websites, at any time by going to your profile page and clicking “Edit my Profile”. Information will be updated immediately. In the case that you are unable to edit your personal information, or if you would like to remove your profile from our website, please contact Civil Contractors Federation Victoria Branch, Level 1, 322 Glenferrie Road, VIC, 3144 Ph: (03) 9822 0900, Email: [email protected] to have the information amended. Removed and deleted information may persist in backup copies for up to 90 days, but will not be available to others. Where the Websites contain links to other websites, we do not control those websites, and we are not responsible for the privacy practices of the content of such websites. We do not take responsibility for the content in, or currency of, any externally linked sites. The inclusion of any link within the Websites does not imply endorsement by us of the linked site, nor does it suggest any relationship with the organisation linked. We will attempt to co-ordinate an investigation of any complaint and any potential resolution of a complaint. If you are dissatisfied with our resolution to any privacy concern that you have, or if want more information on privacy, please refer to the Office of the Australian Information Commissioner’s website: www.oaic.gov.au.